Torino held Napoli 2-2 on Sunday in Naples as the latter fell six points behind Juventus, who came back strong in the second half to defeat Bologna 3-1 in Turin and move closer to their seventh consecutive Serie A football title with only two rounds of games left. From the remaining two games, even if Juventus (91 points) fail to grab a point and Napoli (85 points) win their two remaining games, the Turin powerhouse will be in upper hand since they have a higher goal difference (61), as compared to the southern side’s 45. Moreover, the in head-to-head records, Juventus and Napoli are on level terms with both registering 1-0 victory each at away matches. Napoli took the lead through Dries Mertens in the 25th minute but Daniele Baselli equalised for the visitors in the 55th minute. Marek Hamsik scored his 100th Serie A goal to give Napoli the lead in the 71st minute before Lorenzo De Silvestri’s 83rd-minute header secured the draw for Torino. Napoli’s draw came in less than 24 hours after Juventus won 3-1 against Bologna to take a provisional seven-point lead on Saturday. Brazilian winger Douglas Costa led the way for Juventus in the second half at the Allianz Stadium here on Saturday night, setting up two goals and nearly executing a spectacular “rabona” goal (with his kicking leg wrapped around the back of his standing leg), reported Efe news agency. Playing without two key attacking weapons — Bosnian Miralem Pjanic and Croatia’s Mario Mandzukic — the hosts lacked pace on their attacking forays in the early going. They also were not up to par on the other half of the field, with defender Daniele Rugani fouling Bologna’s Lorenzo Crisetig in the area after a mix-up with goalkeeper Gianluigi Buffon. Simone Verdi then proceeded to convert the penalty try at the half-hour mark to give the visitors the lead. 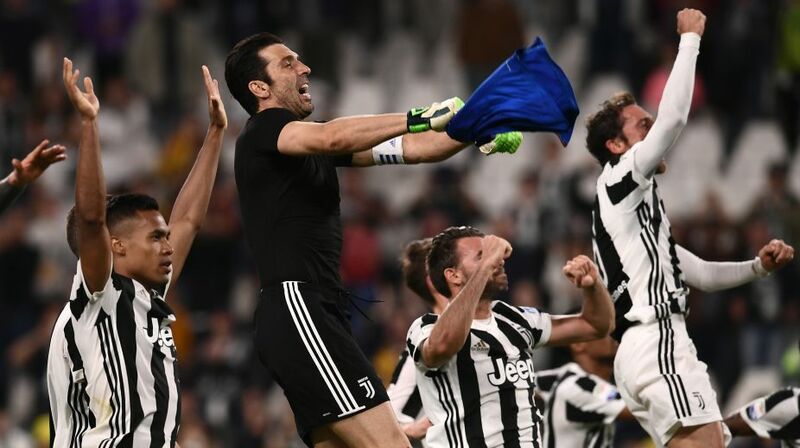 Juventus, however, got a huge lift when Costa was sent on at the start of the second half and started to showcase their superior talent. The hosts’ offensive pressure led to the equalizer, which came when defender Sebastien De Maio inadvertently struck the ball into his own goal while trying to clear a cross by Colombian winger Juan Guillermo Cuadrado. Although Bologna right back Emil Krafth nearly put his club ahead again with a shot in the 59th minute that struck the post, Juve took the lead for good five minutes later when Sami Khedira scored off an assist by Costa. Argentine forward Paulo Dybala then scored the final goal of the match — and his 22nd of the Serie A season — in minute 69 after a great individual effort and assist by the Brazilian international. In other matches on Sunday, Inter Milan routed a 10-man Udinese 4-0, keeping their hope of a 2018-19 Champions League berth alive, while third-placed Lazio secured a 1-1 draw with seventh-placed Atalanta, who have 59 points. Inter are fifth with 69 points — two behind Lazio, while Roma, who will play later in the day, have 70 points. Eighth-placed Fiorentina overcame 11th-placed Genoa 3-2, while Spal jumped to the 14th spot with a 2-0 win over already relegated Benevento to take a big step towards avoiding relegation to the second division. Chievo too moved out of the relegation zone after a 2-1 win over Crotone.